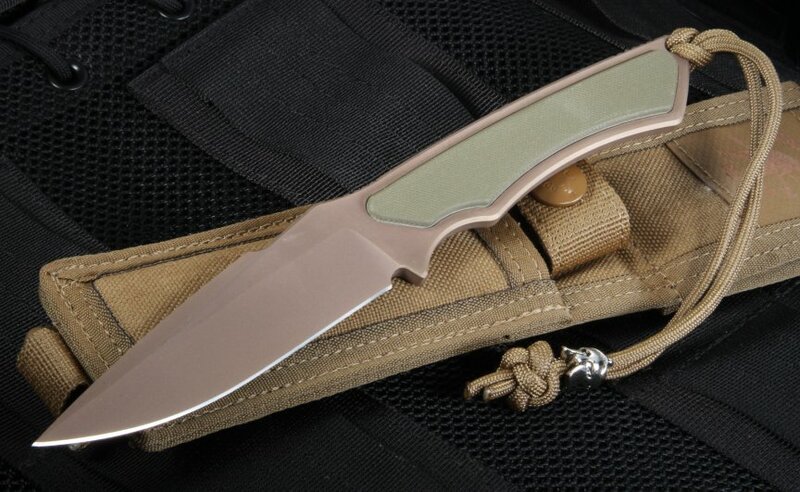 The Spartan Phrike is a mid-sized fixed blade that can serve a vareity of purposes. It is slim and the profile lends it's self to concealed carry or field carry. 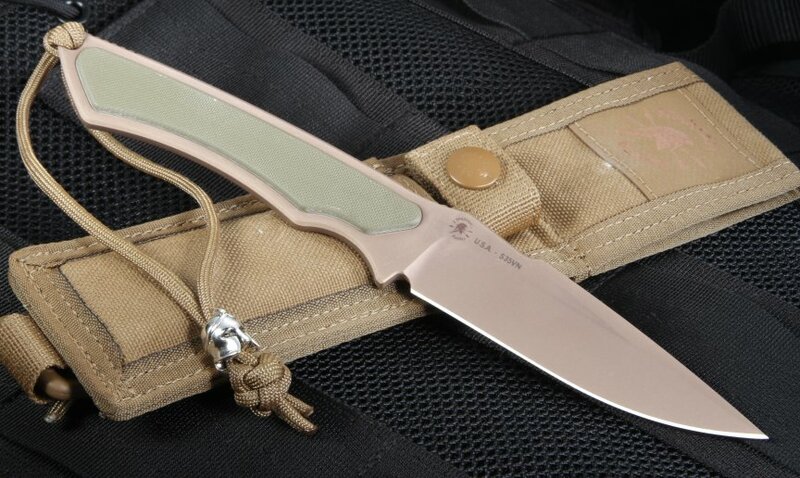 The long drop point blade on this knife features a top false edge and is entirely coated in flat dark earth DLC coating. 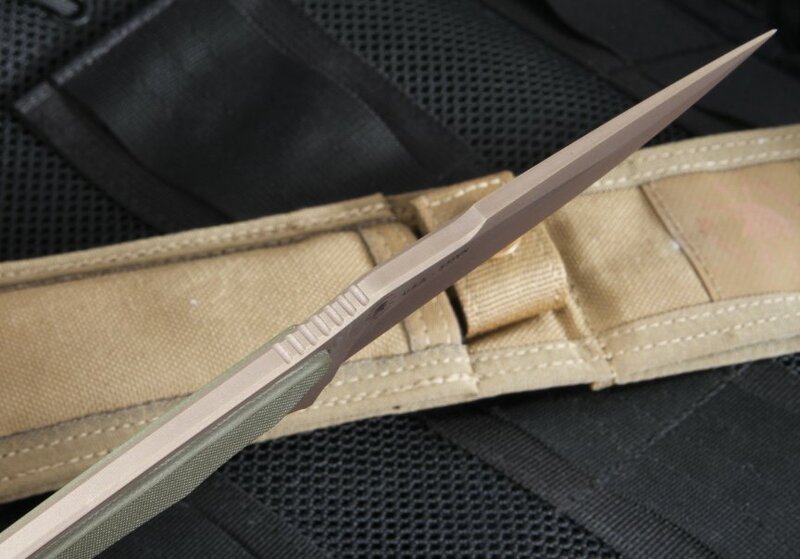 Designed by former US Special Forces operatives, Curtis Iovito and Mark Carey, the Phrike' was designed for the modern warrior as both a self-defense and utility knife. The OD green G10 handle on this fixed blade is inlaid into a machined pocket in the full tang build. It provides you with a slim profile and a knife that won't weight you down with excess bulk. 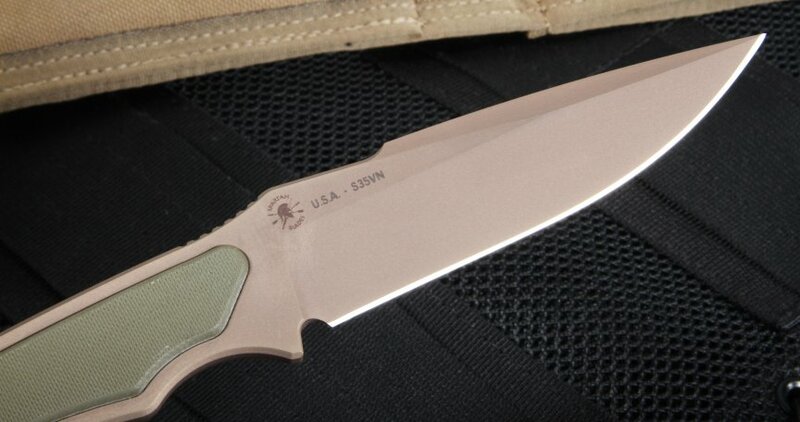 The name of this knife originates from the Greek Goddess of Fear. 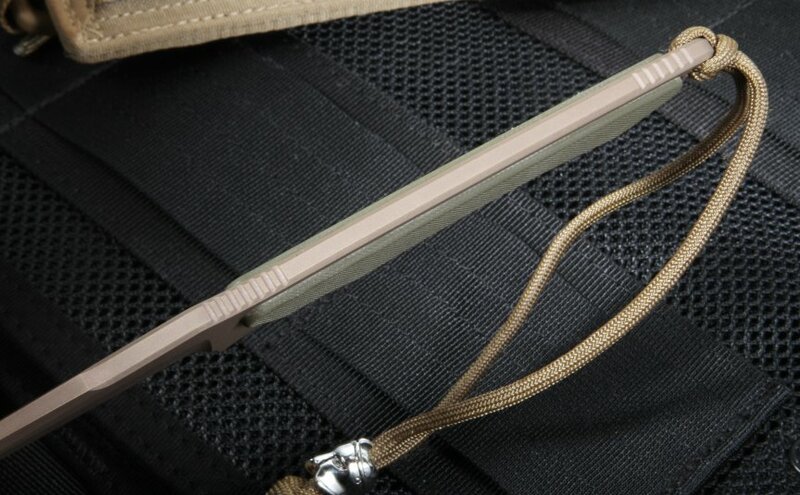 The phrike package is completed with a tan nylon MOLLE sheath, lanyard with Spartan helmet bead (specially included with the Spartan Blades that KnifeArt.com sells) and a lifetime warranty.